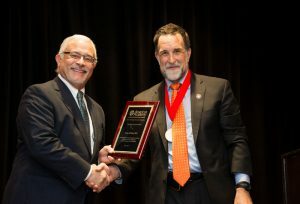 The American Academy of Social Work and Social Welfare will induct 21 new Fellows for their accomplishments as scholars and practitioners for achievement and advancement of social good during a ceremony on Jan. 18, 2019, at the Society for Social Work and Research’s annual conference in San Francisco. The ceremony begins at 6:45 p.m. in the Hilton Union Square Hotel, Continental Ballroom 6. Inductees and their families and friends are invited to a reception directly after the ceremony. The induction is free and open to the public.